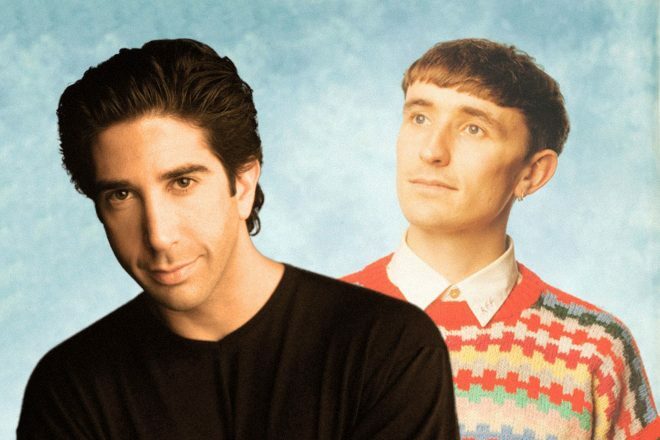 Following the news that UK artist Ross From Friends will be releasing his new EP via Flying Lotus’ Brainfeeder imprint this month, Hollywood actor David Schwimmer - who played the character of Ross on the hit US sitcom Friends - has filed a full-blown defamation of character lawsuit against the lo-fi linchpin. Back in 2011, Schwimmer dropped his failed experimental album titled ‘I’ll Be There For You’. The 10-track LP - which landed on Bandcamp as a pay-what-you-like digital release - was meant to pay homage to the 10 seasons of the show Friends through the use of soundscapes, laugh-tracks and amusing one liners taken from the sitcom. The last known public sighting of Schwimmer was captured by TMZ, who spotted the actor begging for SoundCloud follows outside of Low End Theory in East LA.